Dashner, J. (2009). The maze runner. New York: Delacorte. Personal reaction to the book: Utter, unmitigated crap. Teensploitation of the lowest order. There is nothing original here (see Hunger games, Logan’s run, Running man, Ender’s game, Lord of the flies, among many others). The characters are cardboard cutouts; the plot is derivative. The solution involves teens sacrificing their lives in brutal ways. Obviously, Dashner is not the only author to steal bits from other authors. Suzanne Collins is only marginally more original than Dashner, but at least Hunger games has a point to make about society, whereas after reading The maze runner, the only things I’ve learned are that adult scientists are scary and not to be trusted and that the end justifies the means … at least for elite boys. The first message is as original as the maze and the second is how we wind up with Steubenville, Ohio. Think for just a minute at how much more violent this book is than, say, Lord of the flies, from whence Dashner borrows so heavily. It’s been a long time since I read that book, but there were two deaths if I recall correctly. Two. And Golding ends by lamenting the loss of innocence. 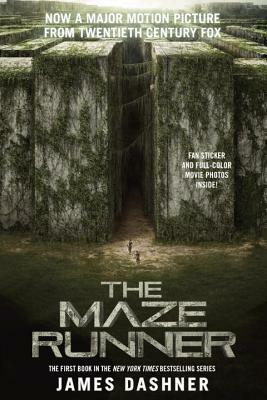 The maze runner is YA while George R.R. Martin is off-the-charts adults, but the lesson in the YA book is that capital punishment is OK if you break the rules of society (and it can be done in a sanitary, out-of-sight-if-not-entirely-out-of-mind fashion) while the lesson in the adult book is that if the state is going to execute someone, the head of state ought to be the one wielding the sword. I’m not going to put Songs of Ice and Fire in my 10-year-old’s hands, but I’m going to do everything short of saying “Don’t read this” to keep The maze runner away from him until he’s really old enough to think it through. I would not recommend this book to anyone; I would not encourage libraries to hold the book or the movie in their collections one day beyond the initial surge of interest from the movie. Author facts: Born in Georgia, lives in Utah. Used to be an accountant. Avid reader. Previous Post War … what is it good for?